Don’t be surprised if you see “dragons” on some of Dubai streets and parts of the city dressed up in red and Chinese decorations beginning next week as this is only part of the month-long Chinese New Year celebrations this year. Hala China, a joint initiative by Meraas and Dubai Holding, will bring a variety of Chinese experiences to Dubai for a month of celebrations to usher in the new Chinese year that begins on February 5. Some of Dubai’s most vibrant destinations, including Al Seef, Bluewaters, Boxpark, City Walk, Dubai Parks and Resorts, Jumeirah Beach Residence (JBR), La Mer, Madinat Jumeirah, The Beach, Global Village and The Outlet Village will be decorated for the occasion from January 28 to February 23 to host a packed schedule of activities as the city continues to embrace Chinese culture. Shaikh Majid Al Mualla, Chairman of the Board of Directors at Hala China, said: “Given the range of Chinese-inspired events and activities we are set to witness across some of Dubai’s most innovative destinations, we are confident that the Chinese diaspora and tourists will enjoy the month-long festivities. 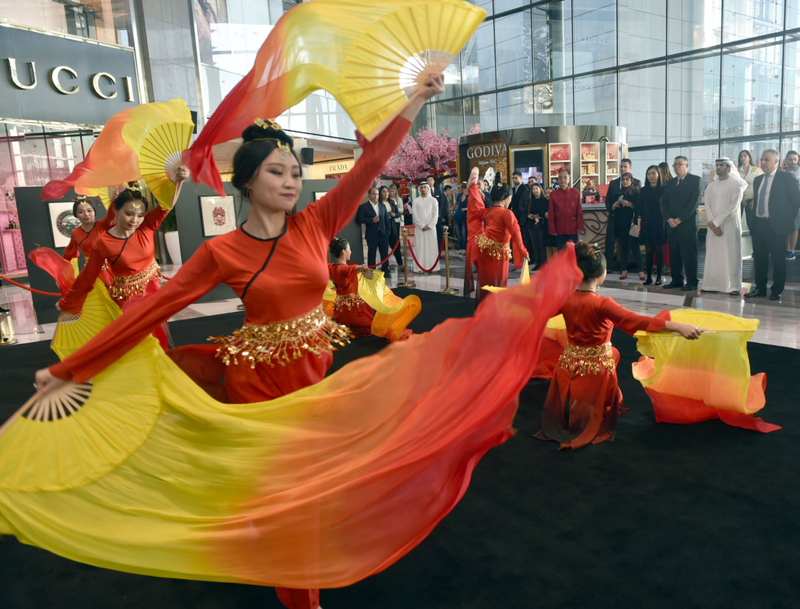 The celebrations will demonstrate why the city’s state-of-the-art infrastructure and inclusive culture make it an ideal home for Chinese expatriates,” Al Mualla said. More than 270,000 Chinese expats are estimated to live in the UAE. From January to November 2018, the number of transit tourists from China visiting Dubai reached nearly 800,000, a year-on-year increase of 12 per cent. The inaugural Chinese New Year celebrations at City Walk last year attracted more than 22,000 Chinese and other visitors. That number is expected to increase this year, with promised active participation of the Ministry of Culture and Tourism of the People’s Republic of China. For the fourth year in a row, China has been Dubai’s largest trading partner. This year also marks the 35th year of diplomatic relations between the UAE and China. A Royal Gala event at the Bvlgari Resort Dubai to launch the Chinese New Year festivities. Chinese Buffet Bonanza: Multi-faceted Food Festival on January 27 where students will learn how to cook authentic Chinese and Arabic food. 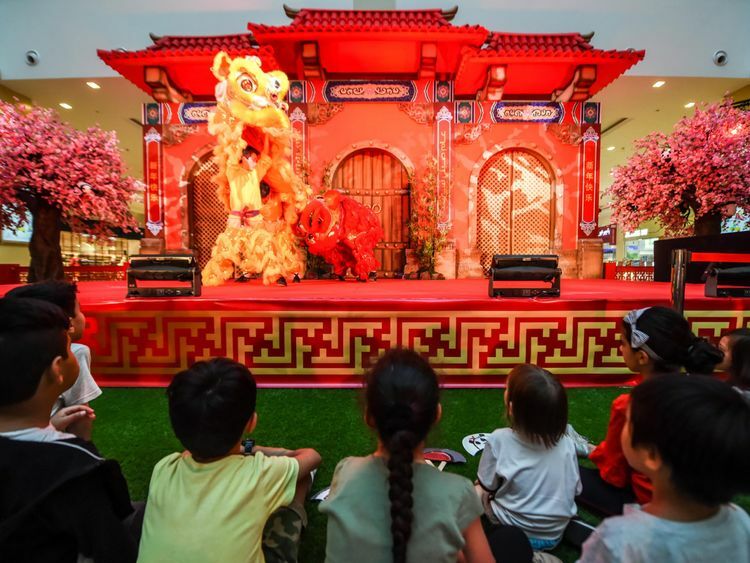 Grand Parade: Enormous dragons, acrobatic performers and much more will roam the Al Mustaqbal Street at City Walk on February 1.